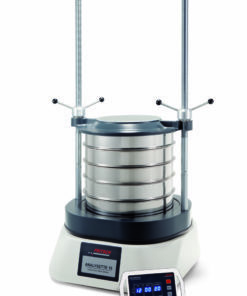 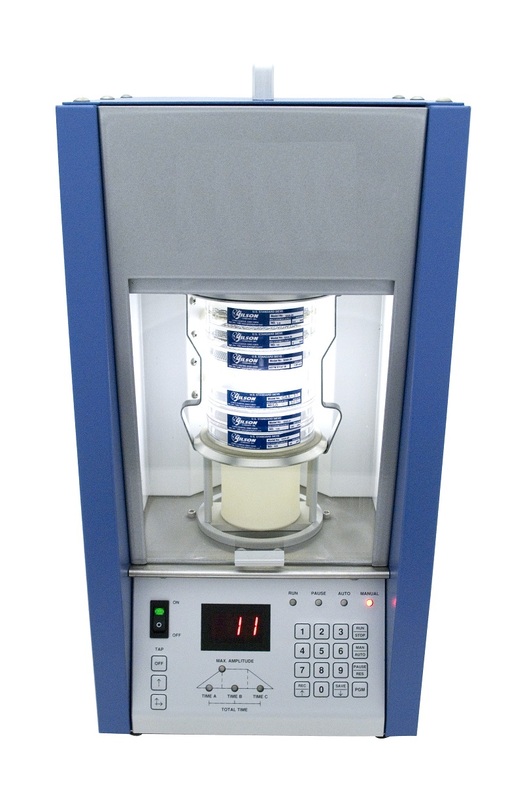 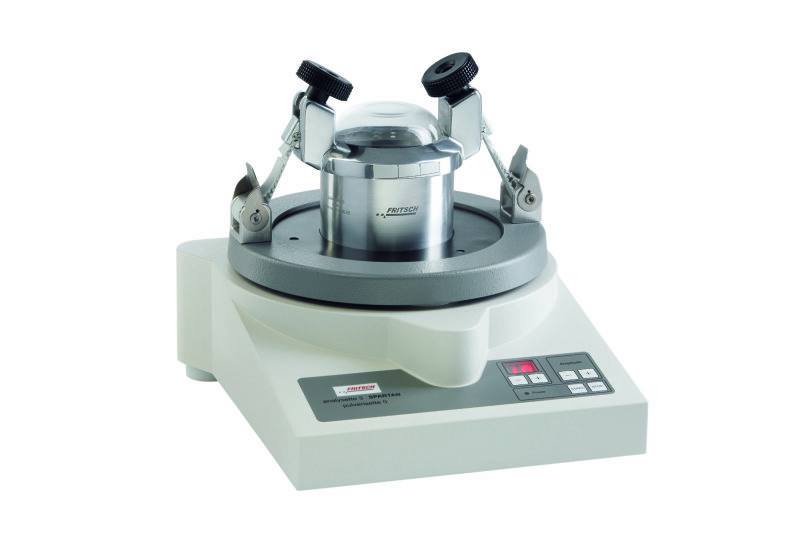 The Analysette 3 SPARTAN is a basic Digital Laboratory Sieve Shaker. 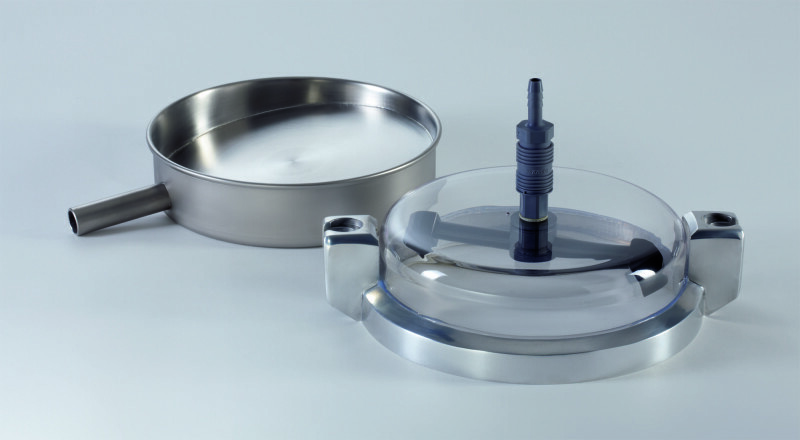 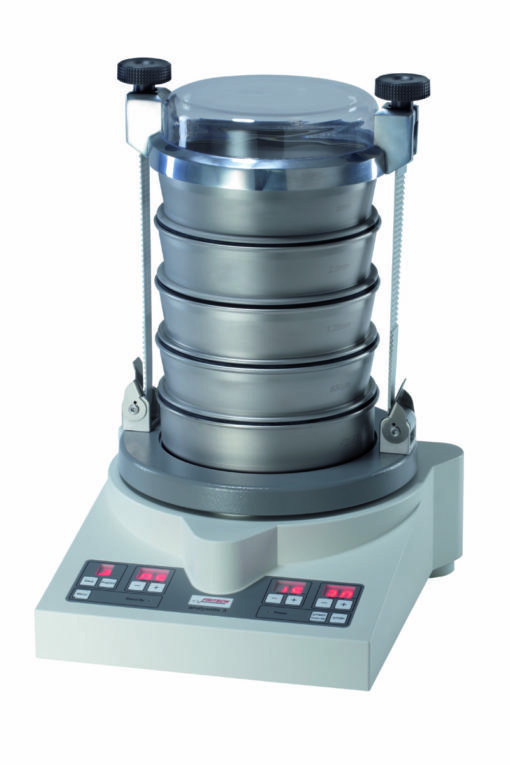 This Sieve Shaker can be used for all typical sieving tasks in the laboratory, with optical adjustment of the amplitude, while the instrument is running. 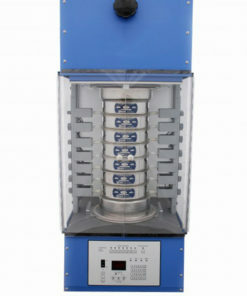 Complete with a practical sieve stack tensioning system. 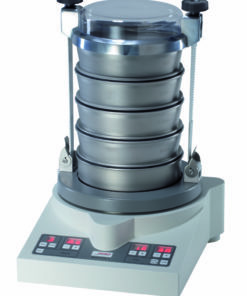 The Vibratory Sieve Shaker Analysette 3 SPARTAN is the ideal instrument for particle size analysis by the well-known tried and trusted method of sieving in Quality Control Laboratories. 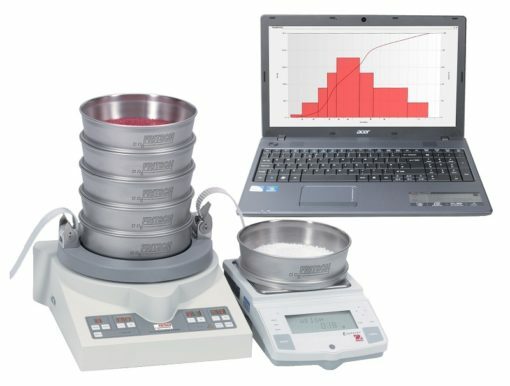 Particle size distribution of all kinds of solid samples and suspensions can be measured by dry and wet sieving. 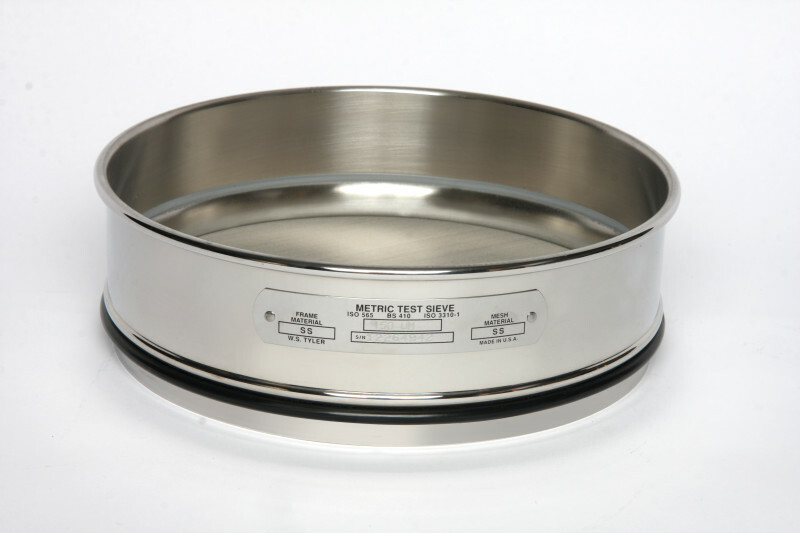 The sieving process can be carried out with any 8’’ or 200mm diameter woven analytical sieves. 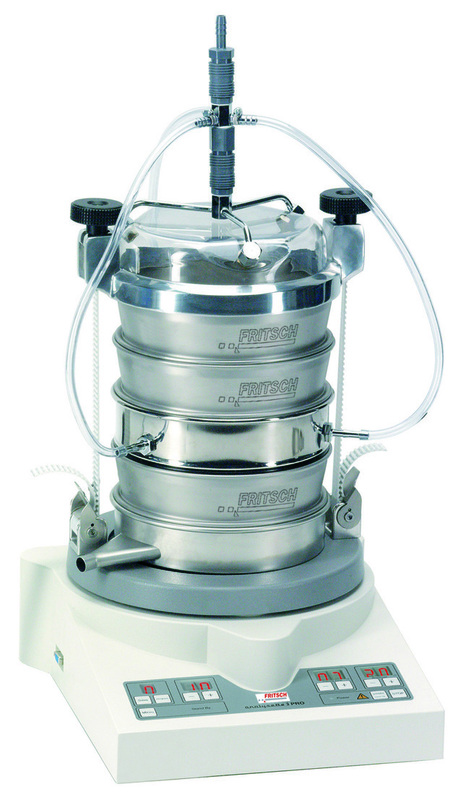 The modular system of the Analysette 3 allows for easy conversion to Vibratory Micro Mill Pulverisette 0 for milling and homogenizing small amounts of sample material. 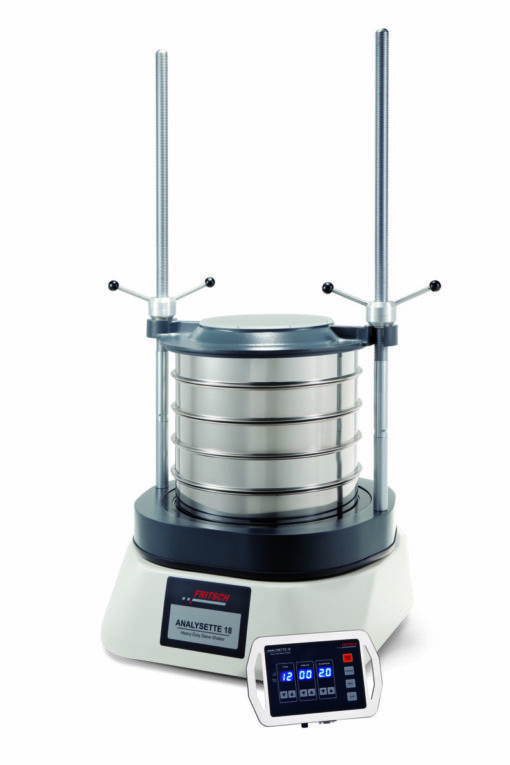 The Analysette 3 is a ”shaking sieve” system in the classic sense, with an electromagnetic drive in the base which vibrates the sieves vertically. 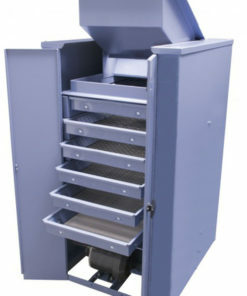 The material to be sieved is propelled upwards periodically from the woven sieve cloth, as it returns to the mesh of the sieve it is forced through the apertures to the collecting pan located on the base. 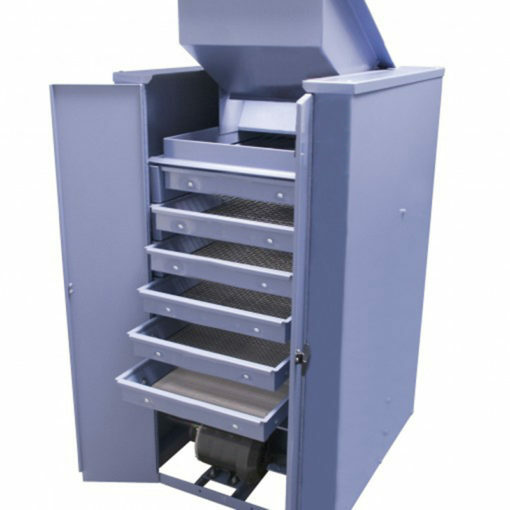 The regulated vertical action ensures an even distribution of the material over the entire sieve mesh. 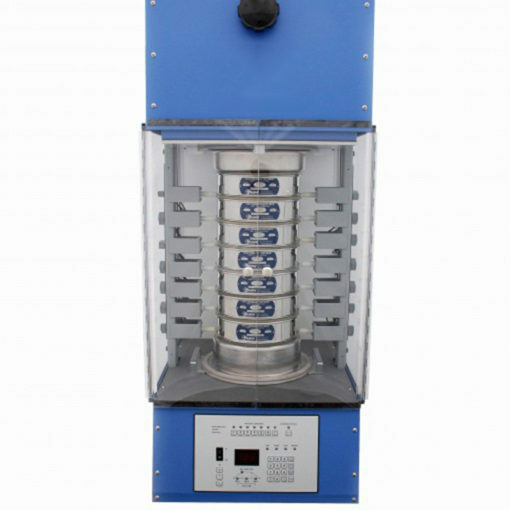 As there are no centrifugal effects, all forces act directly in the separating process of the sieves, almost regardless of the level of acceleration. 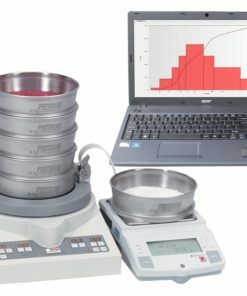 The Analysette 3 PRO is a Digital Sieve Shaker with automatic control of the amplitude of vibration with microprocessor. 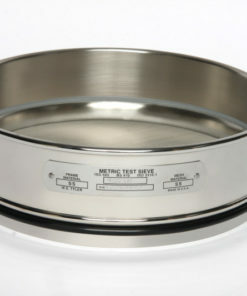 Compatible for integration into ISO 9001 Quality Management. 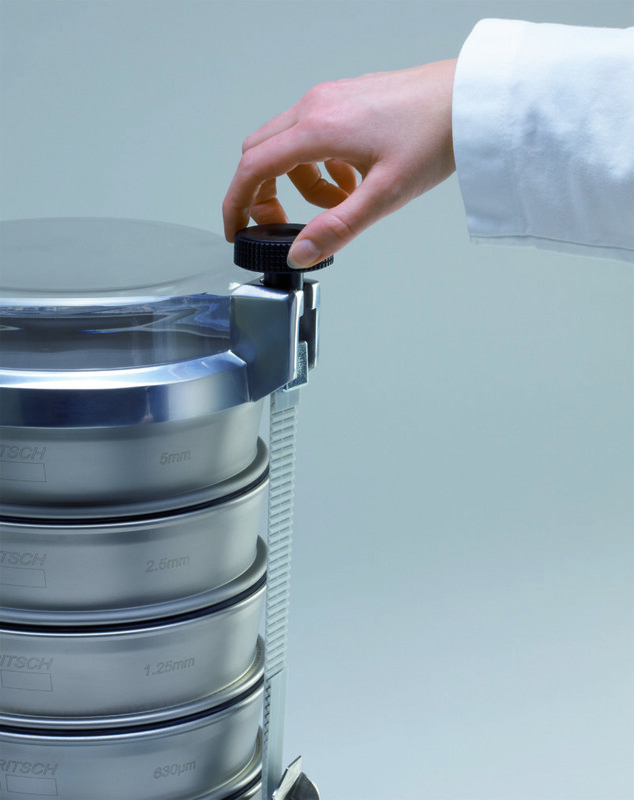 The UltraSiever Sonic Sieve Shaker offers exceptional speed, efficiency and capacity for particle size analysis of fine particles, down to 5µm. Accepts up to 7 standard 8’’ (203mm) test sieves or micro precision electroformed sieves. The Porta-Screen, Testing Screen and Test Master Sieve Shakers are ideal for particle size determination on large samples of aggregates, sand, gravel, slag, ores, wood chips and other coarse materials. 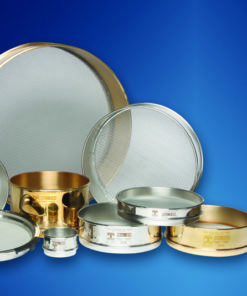 Laval Lab offers a full range of 3-inch (75mm) diameter ASTM Laboratory Test Sieves. The AutoSieve software allows professional automatic evaluation of Particle Size Analysis by the sieving method, with database management. 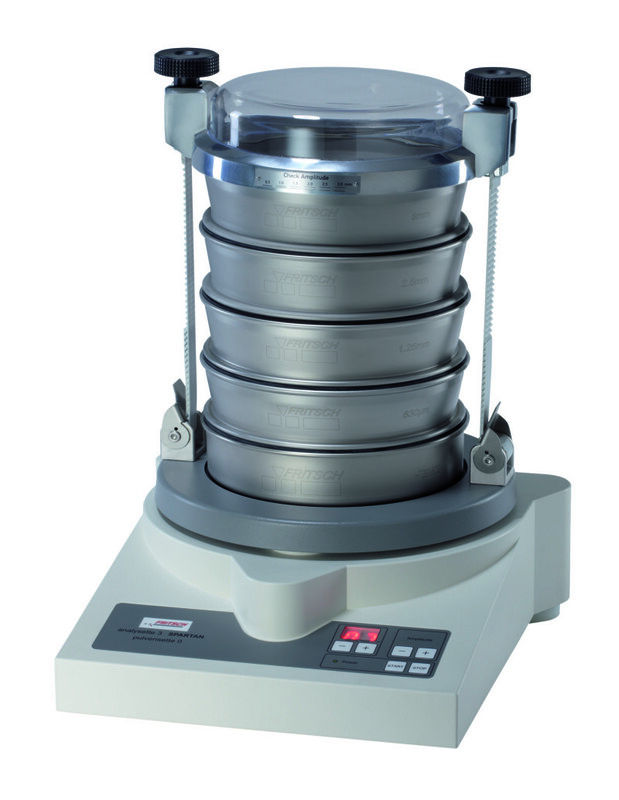 A superior sieving instrument, the Sonic Sifter Separator is precise and versatile. 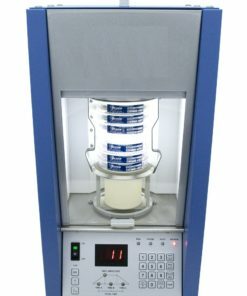 Ideal for laboratory, research and quality assurance applications, particle separations can be accomplished in a very short time. 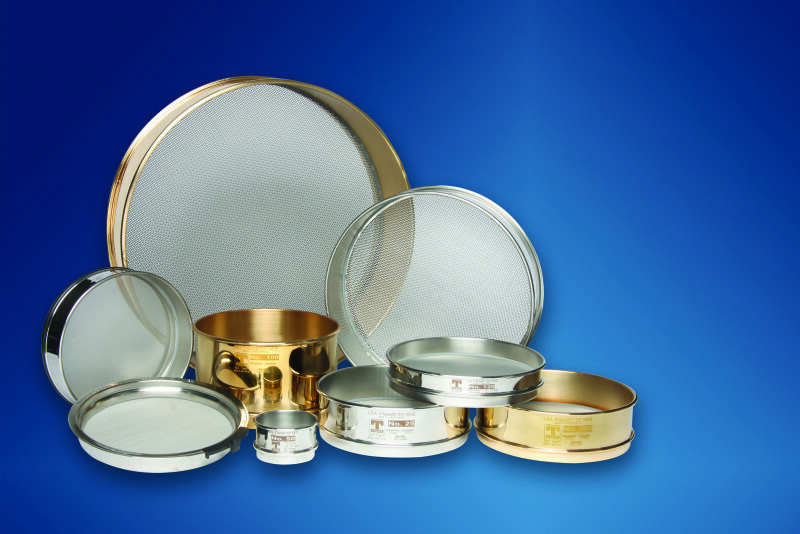 Laval Lab offers a full range of 200mm diameter Laboratory Test Sieves.